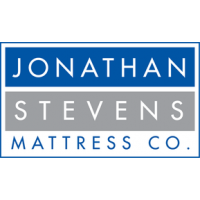 Queensbury | queensbury | Plush Mattresses | Jonathan Steven Mattress Co. 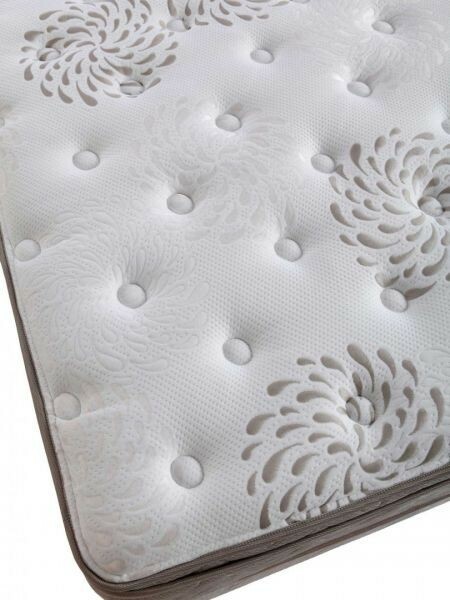 The Queensbury is the perfect match for you if you love a luxurious, plush mattress. We start with our exclusive continuous coil ComfortFlex Innerspring which gives individual support to each person. We add our ComfortGuard side support system that is the strongest edge support system available. A double insulation package ensures that the softer cushioning layers will never sink into the spring system, giving you a more durable, longer-lasting mattress. 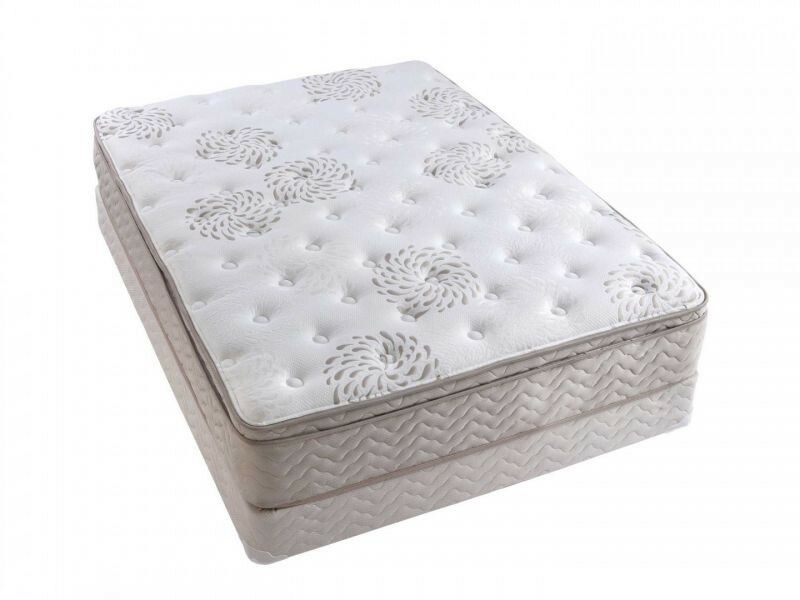 Then for firm support and durability, we add a 2.4# high-density foam layer before wrapping the entire mattress with a totally enclosed inner panel system. 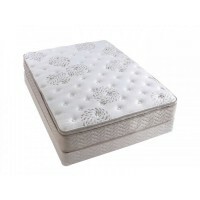 On top of the inner panel is a pillow top cushion that has layers of plush 4.0# density pure Latex that ensures both comfort, freshness, and durability. Then we cover this wonderful mattress with an exquisite cover that has two more layers of soft yet sturdy high-density foam. The overall effect is a plush, comfortable yet supportive mattress that will leave you refreshed and ready to take on a new day. More information here. 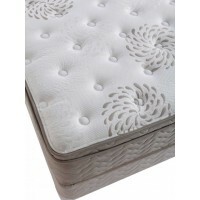 Nestle in and find restorative sleep from our plush quilt and luxurious, soft and healthy latex. Pure latex instantly conforms to body shape and provides superior orthopedic support while being antimicrobial, dust mite and mildew resistant. Pure latex is the highest quality foam available with outstanding elasticity. It is self-ventilating and moisture regulating, anti-fungal and hygienic. 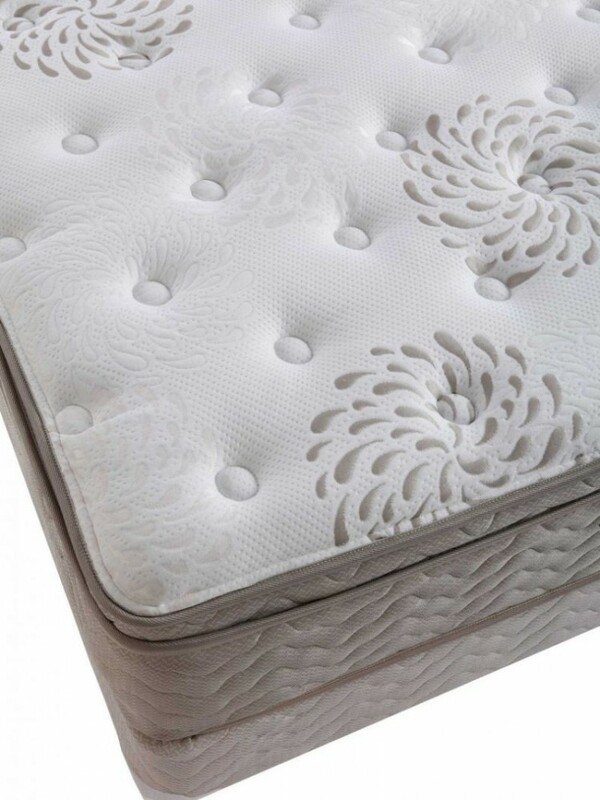 Linked coils perfectly contour to each sleepers body shape for balanced support and proper spinal alignment. Left-and right-turning coils counter balance each other for a stable sleeping surface, which decreases side-to-side movement. 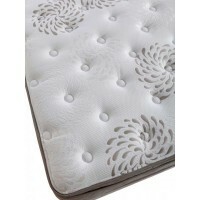 Visco Lumbar Support (VLS®) is a layer of memory foam across the center third sleeping area of our mattresses. Body conforming support reduces compression where most weight is applied. This set is approximately 23 inches tall with a standard height 7.75” foundation. A low profile foundation (approximately 3 inches lower) is available at no additional charge.